Today is the one-week anniversary of a terrible day for the people of Boston. 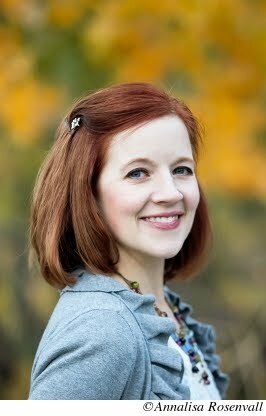 Author Sarah Eden, besides being a talented author, is also a pretty amazing person. In her post found here, she has issued a challenge for today. Her daughter made a profound comment after the school shooting last December. you choose what to fill the cracks with. But hate won't ever heal. This message prompted Sarah to encourage us all to look for an opportunity to do a random act of kindness today. It can be as simple as a word of encouragement. I already have one in mind. 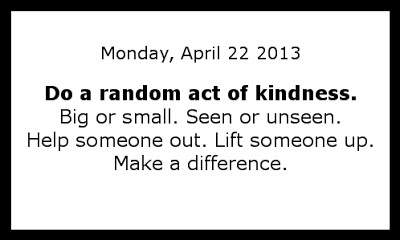 Find yours and spare a moment to make someone smile today. Today I decided to purchase a copy of David's book Nightingale in support of raising money for his son who was in an accident. So that's my good deed. Great thought! I did do a random good deed yesterday without even planning on it. Only Love can fix what has been broken. I believe the acts of kindness are more for us. They give us Love to fill the cracks. They reassure me that I am not like that.